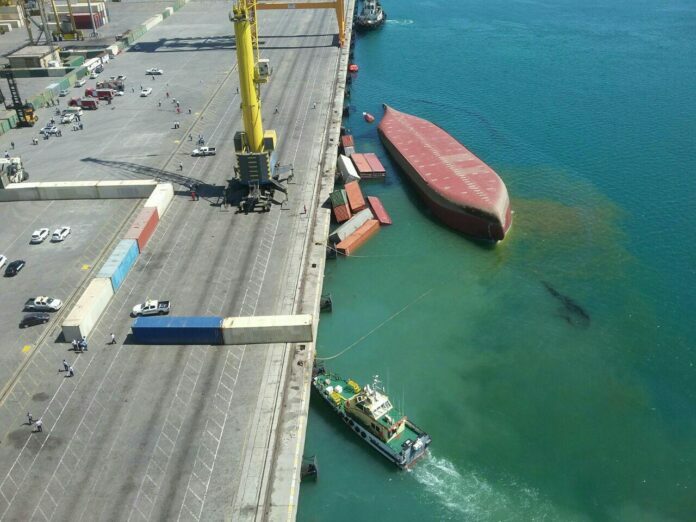 Several people have sustained injuries after a 90-metre cargo vessel under the flag of Comoros capsized and sank on Tuesday at Shahid Rajaee port of the Iranian city of Bandar Abbas near the Persian Gulf. The LS Star vessel completely overturned in the 25th quay of Shahid Rajaee Port. Reports say some of the crew of the ship have sustained injuries, including one that has lost one of his legs after collapse of the containers. 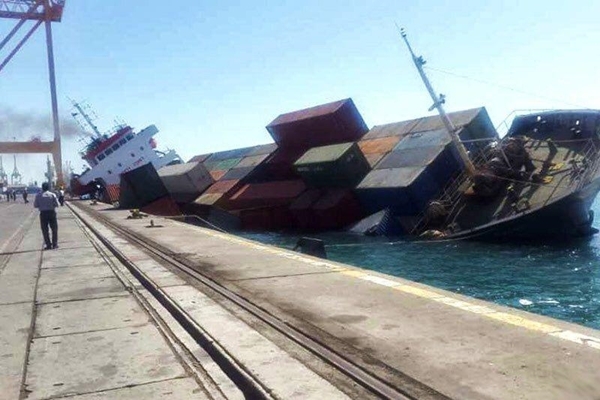 An official said lack of coordination between the ship’s officer and the contractor for loading and unloading has caused the accident, Tasnim News Agency reported. All the 14 crew members were Indian, an Iranian official said. The height of the ship from its bottom to its top is about 25 metres. Part of the ship is outside the water and the other part is below the sea level.